JV Tierney & Co. have launched their new Website! JV Tierney & Co. Shortlisted for 2 ACEI Design Excellence Awards 2017! New Beaumont Renal Dialysis Unit Handed Over! JV Tierney & Co. Winner of ACEI Design Excellence Award for Eolas Builiding Maynooth University! Lidl Ireland Headquarters Dublin wins Architectural Project of the Year in Irish Building Design Awards 2017! Oracle Block B Cloud Sales Centre Dublin wins Green Project of the Year Award 2016! New €24 million Emergency Department opens at University Hospital Limerick! Design for National Forensic Mental Health Services Portrane achieves BREEAM Excellent Rating! What is the Passive House Standard? What Does Being LEED Certified Mean? What is Building Comfort Analysis? J.V. Tierney & Co. are Hiring! Happy Christmas from All of Us at J.V. Tierney & Co.
Energy Metering on all Heating Circuits and Electrical Consumer Units to Apartment Clusters, Landlord Distribution Boards, and Lifts. Fully addressable Fire Detection and Alarm System linked via resiliently routed backbone communications to a central control panel. Fibre Connectivity to NUIG ICT system via diverse routes. 10 No. Regenerative Drive Passenger Lift Installations. The residence boasts 3 models; 4 bed, 5 bed, and 6 bed apartments, which will add to the cohesive and collaborative nature of NUIG as a whole. 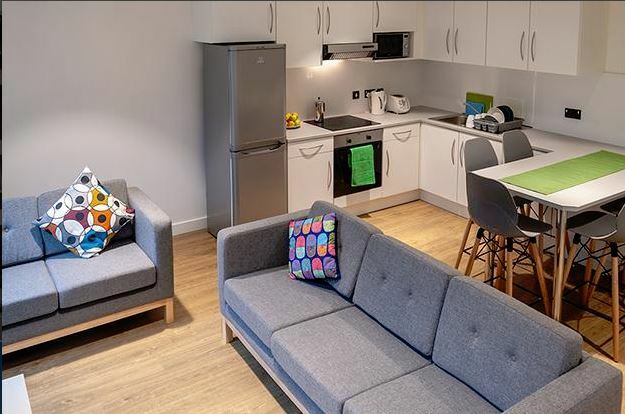 Additionally to the accommodations the complex includes a shop, common room, self-services laundrette, and sports facility. 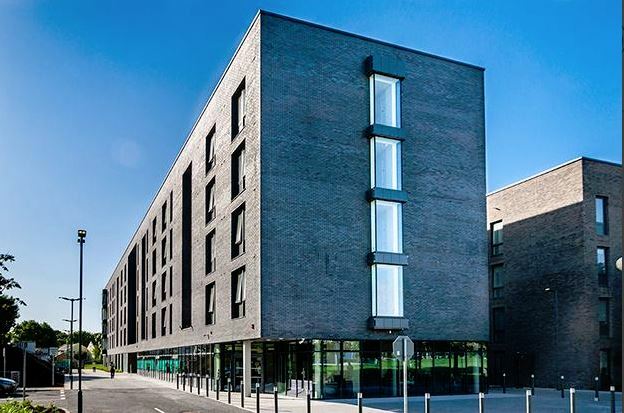 Well done to our Clients NUIG, Coady Architects/FCB Studios, and Main Contractors J.J. Rhatigan, as well as our design and construction team colleagues. © 2019 J.V. Tierney & Co.